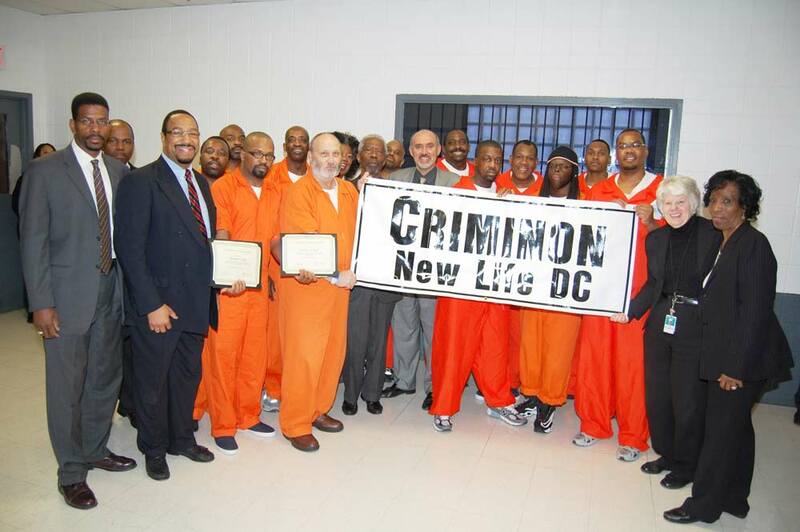 Criminon New Life DC, Inc. was started in September 2006 specifically to establish delivery of L. Ron Hubbard’s criminal rehab program in the DC Jail. The Central Detention Facility DC embraced the Criminon program and has been delivering this program ever since. Today, Criminon New Life DC has 10 volunteers with 110 inmates currently on course. Photo: Executive Director Criminon New Life DC, Matt Robinson, congratulates a graduate of the program. Many inmates get greatly reduced sentences for demonstrated good behavior as a result of their cognitions during the Criminon program. For example one inmate had a big realization on precept number 7 “Be Worthy of Trust.” He told the Criminon volunteers that he had always lied his whole life and now he wouldn’t. He also said he was very concerned because it looked like he was going to have his sentence extended for 2 years. However, he showed such change after the Criminon program that after speaking to the inmate, the parole officer changed his recommendations and the inmate was only sentenced to 6 more months in prison as opposed to 2 years!. Criminon New Life DC holds full graduations for inmates completing the program, clearly marking the start of a new road toward happiness. The program is delivered to male, female and juvenile inmates.